Nigeria, Sanusi Lamido Sanusi to stop misinforming the public and the international community but instead respond to charges of financial recklessness, gross misconduct among others he was accused of by the Financial Reporting Council of Nigeria. 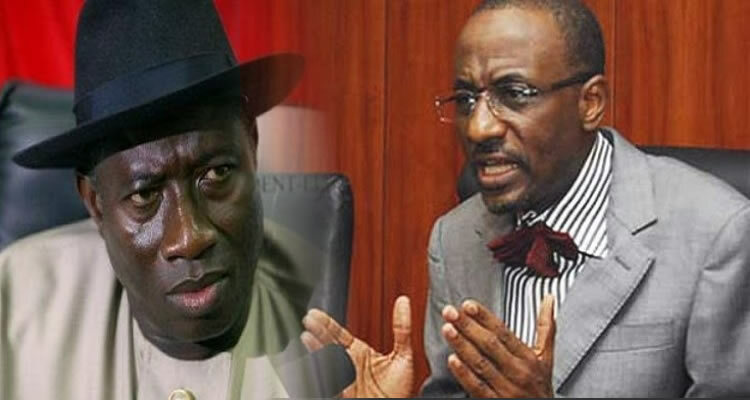 We have noted with disappointment, the unrelenting attempt by the Governor of the Central Bank of Nigeria, Sanusi Lamido Sanusi to falsely portray his recent suspension from office as an attempt by the Presidency to bury his allegation that huge sums of money due to the Federation Account are unaccounted for by the Nigerian National Petroleum Corporation (NNPC). step aside while the weighty charges of financial recklessness, gross misconduct and persistent disregard for laid down rules and regulations in the management of the Central Bank made against him by the Financial Reporting Council of Nigeria and others are properly investigated. into believing the falsehood that he is being punished for exposing corruption. “missing” funds whether $49.8 Billion, $12 Billion or $20 Billion, ultimately led to his suspension. He also continues to make the mischievous claim that the government is somehow involved in a scam to divert huge sums of money from the Federation Account through the misappropriation of kerosene subsidy funds. Mallam Sanusi’s allegations are patently untrue. But Government is making no effort to bury them as he falsely claims. Relevant committees of the National Assembly are still investigating the claims and the suspended CBN Governor remains free to give evidence before them in support of his allegations. for the recommended forensic audit of NNPC accounts. The Presidency condemns Mallam Sanusi’s resort to playing politics with serious national issues. His suggestion that the phantom missing funds may have been diverted to fund campaigns for next year’s general elections is mischievous, irresponsible and designed to incite other political parties and members of the public against the Federal Government. The Presidency would not ordinarily have wished to join issues with Mallam Sanusi who as CBN Governor remains an appointee of the President, but the very unacceptable manner in which Sanusi has been misinforming the public made it imperative that this statement be issued. This entry was posted in News, Politics and tagged Presidency Warns Sanusi Lamido Sanusi, Stop Misinforming The Public, Stop Misinforming The Public Presidency Warns Sanusi Lamido Sanusi.